If anyone on your Christmas shopping list has requested a Livescribe Sky Wi-Fi smartpen, then too bad. 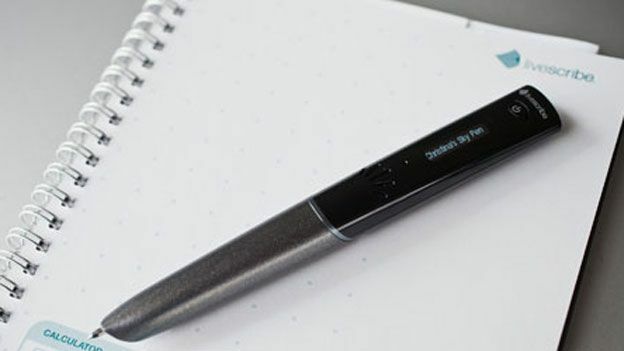 The digital pen maker has had to pull its Sky smartpen from stores after being successfully sued by BSkyB. The broadcaster claims Livescribe's Sky smartpen, which is capable of recording audio and transferring it wirelessly to its owners' computers, breaches its "Sky" trademarks. BskyB is suing both Livescribe and Dixons, which stocked the smartpen. Livescribe released a statement about the legal action, saying: "Legal counsel for British Sky Broadcasting ("BSB") has written to Livescribe alleging that we are infringing the trademark rights of BSB. We are currently taking legal advice from our counsel in the UK. "While Livescribe does not offer any goods or services similar to those of BSB, out of an abundance of caution we have instructed our distributors and resellers in the UK to stop selling the Livescribe Sky Wi-Fi smartpens in the interim while we investigate the matter."